At P.S. 142 we offer a variety of classroom settings as well as services to support and challenge students with a variety of strengths and needs. ICT classes are offered at every grade level, providing two certified teachers who individualize instruction for students with a range of abilities. We also offer students with disabilities the services they need to thrive in a variety of settings, including physical therapy, occupational therapy, speech therapy and counseling. Our service providers support students within the classroom so that no student misses instruction and all students are able to apply the strategies they learn to their daily studies. At P.S. 142 we know all students are individuals with different needs and strengths. So, we prioritize small group and one-on-one instruction. Staffing multiple teachers per classroom and including all service providers in in-class instruction enables us to provide customized instruction and personalized attention to our students. A teacher works with a small group of students to provide instruction specially targeted to meet their needs. A student receives one-on-one support from a teacher while another reads independently nearby. At P.S. 142, our curriculum is designed to challenge students to reach their potential, as they grapple with complex problems and ideas. Students are encouraged to develop independence as they develop their voice and grow into active participants in our community. We are a Teachers College Reading and Writing Project school. That means we use the Reading and Writing Units of Study developed by TCRWP as the basis of our instruction. Our teachers receive extensive training from TCRWP staff developers and are continually working to develop their instructional craft. Our standards-based balanced literacy approach to teaching reading and writing continues to evolve as we participate in ongoing professional development and learn from our own classroom practice. We use EngageNY as the foundation of our math curriculum. Teachers work with their colleagues and with our Metamorphosis staff developer to adapt the printed lessons to our students' needs and interests. We believe that math time should consist of investigation, exploration, creativity, and communication with peers and teachers. Most importantly, teachers ensure that students have ownership of math learning and develop critical thinking and problem solving skills. We believe arts instruction is essential for elementary school students. As such, we have a visual arts studio when all students learn to create using a variety of media. We also have a music studio where students learn both instrumental music as well as music theory. 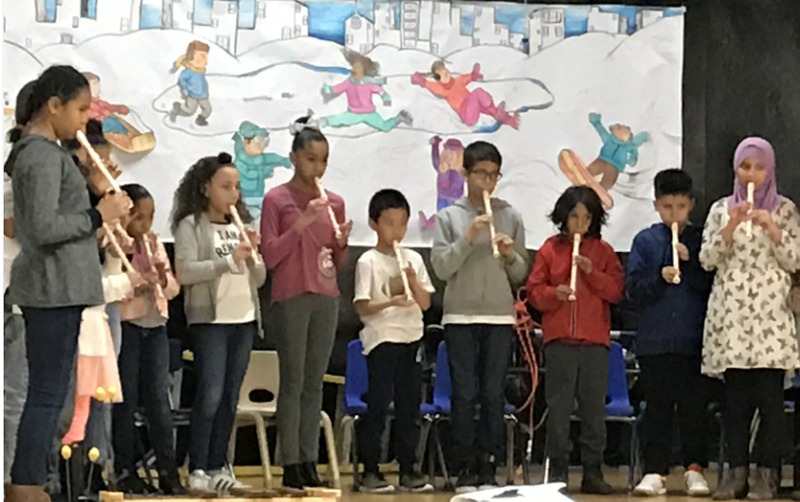 Our after-school chorus is open to all students in grades 3-5 and performs regularly at school events. Partnerships with Rosie’s Theater Kids, Story Pirates, and the Paper Bag Players round out our students’ arts experiences. In addition, our After-3-Arts program run by our Community School partner, Educational Alliance, extends this learning in the after-school hours. In addition to classroom science experience and lessons, students visit our state-of-the-art science lab, where they engage in hands-on experimentation and investigation. Through partnerships with Robofun and Salvadori students also have the opportunity to join a Lego Robotics club and engage in hands-on engineering projects. We believe that doing a few studies in depth is the most effective approach to teaching social studies. We also address current events as part of our social studies curriculum, particularly in the upper grades. 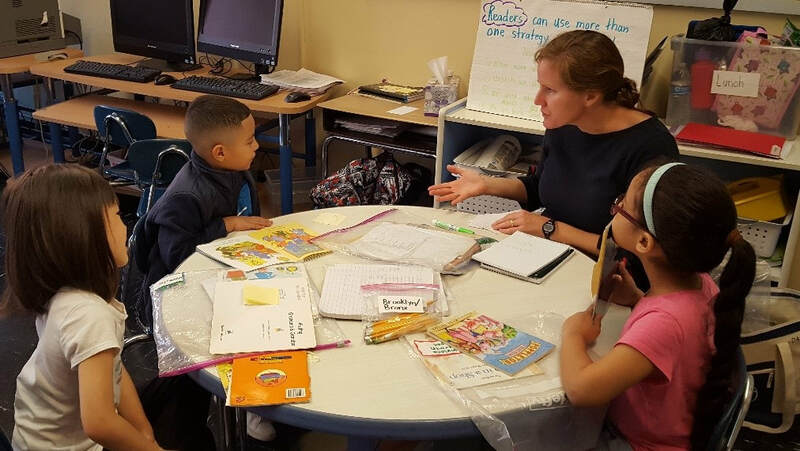 We believe learning happens best in context, so some of our social studies instruction is integrated throughout our Reading and Writing curriculum as well. Part of our responsibility as a school is to help our students develop the language and skills to resolve conflicts, stand up to bullying and bias, manage anger, embrace differences, and take leadership to improve their communities. We have adopted the 4Rs curriculum from the Morningside Center for Teaching Social Responsibility. All of our students participate in our Restorative Circles practice which provides students with an opportunity to share their feelings, build their conflict resolution skills, and reflect on current events. For an example of this work, see the video on our homepage.